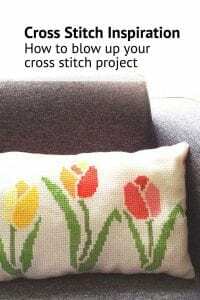 What materials do I need for cross stitch? 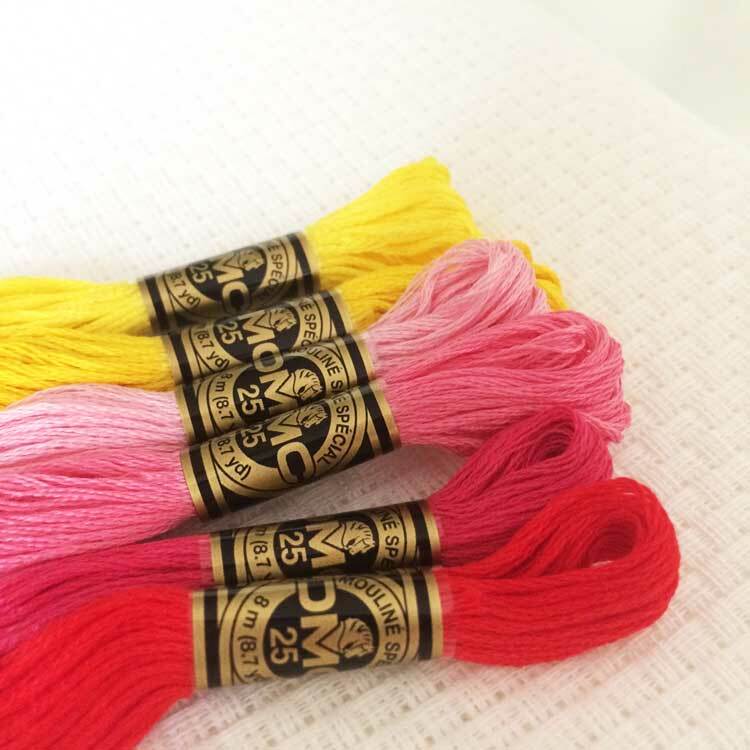 Tips for choosing your cross stitch supplies. 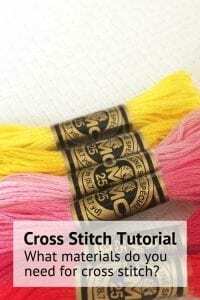 If you are new to cross stitch you might wonder what are the best supplies for cross stitch? 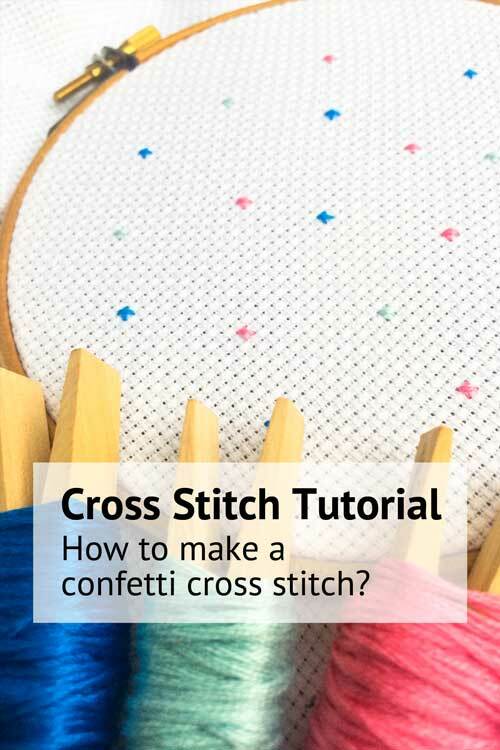 what are the essential things you need for cross stitch and what are handy extra’s to have? 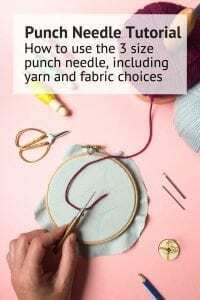 What size needle do I need for my cross stitch fabric? 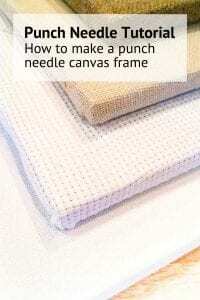 In this blog we explain the basic materials you need to cross stitch. 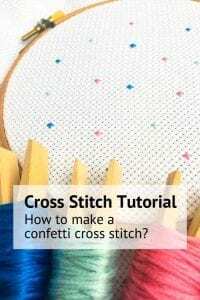 What essential materials do you need for cross stitching? 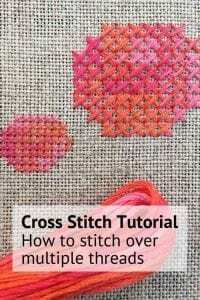 What extra tools make it easier to cross stitch? 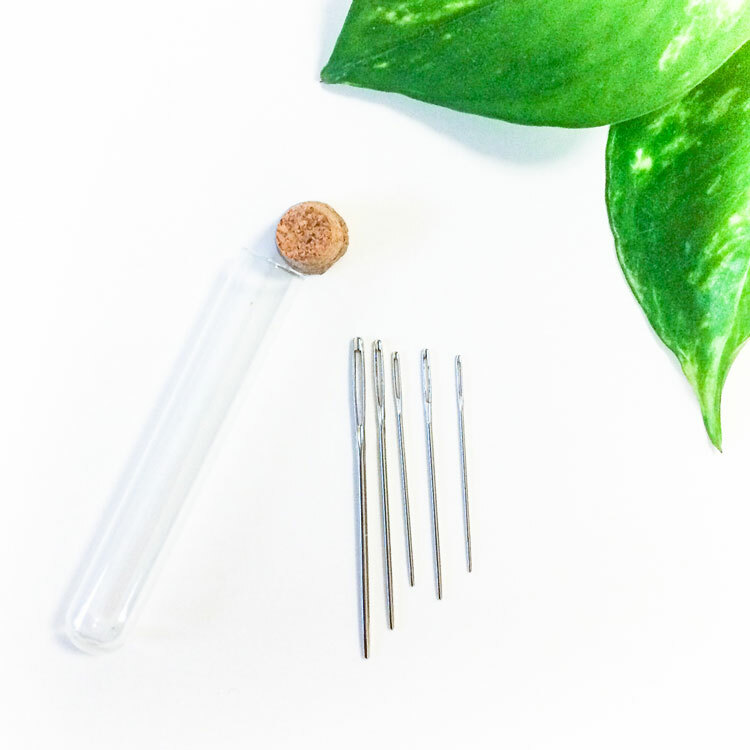 What size needle do I need to use for my cross stitch project? 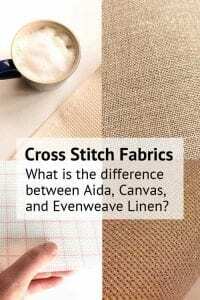 Most cross stitch projects are made on Aida or Evenweave Linen fabric. 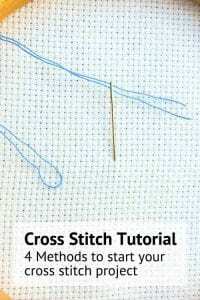 For beginners we recommend to start stitching on a white Aida 14 count cross stitch cloth. 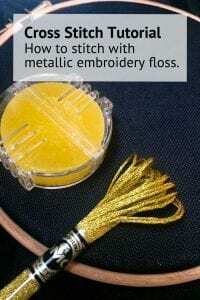 This is the most commonly used embroidery fabric. For children and people with difficult eye sight, we advise to use White Aida 6 count cross stitch fabric. As the grid on this fabric is about 2,4 times larger then a 14 count fabric, it is very easy to see the holes. Using Aida 6 count fabric will blow up your pattern, so ensure you get a large enough piece. 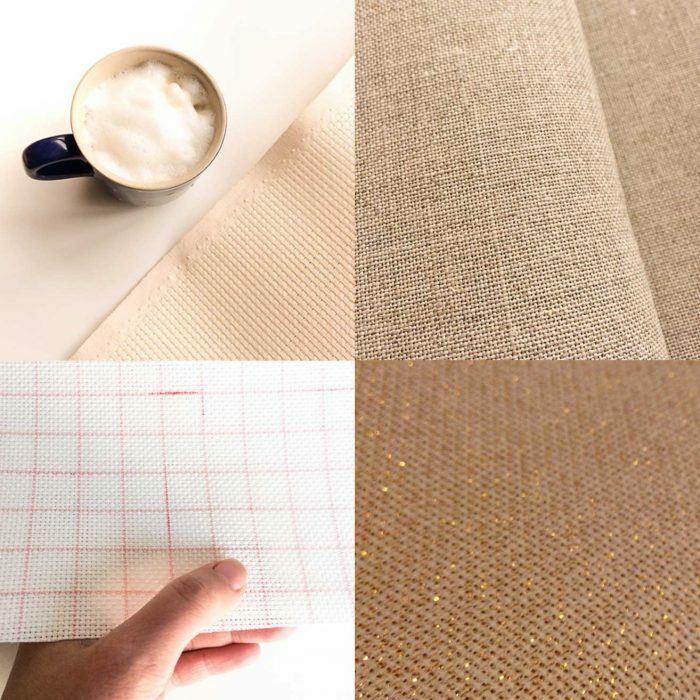 With some experience you can move from Aida to linen fabric, this will give your fabric a finer end result. 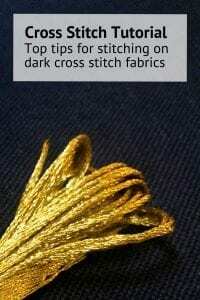 Read this blog with our tips for stitching on linen fabric, and learn all about the different types of cross stitch fabrics here. 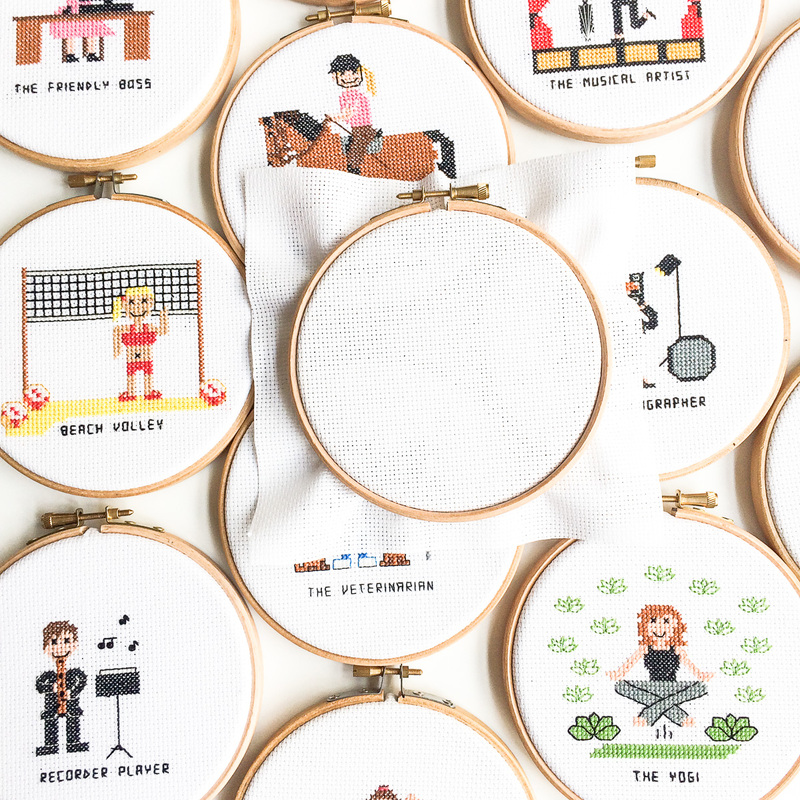 From Toucan’s to maps and engineers, in our shop you can choose from hundreds of modern cross stitch designs. 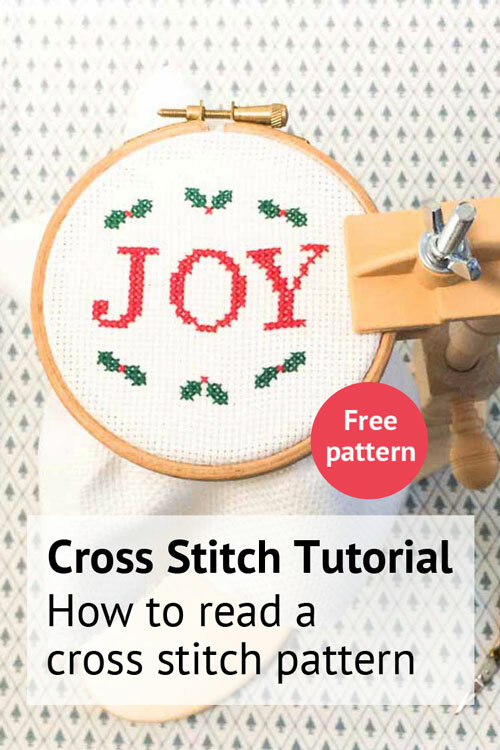 We design with beginners and intermediate stitchers in mind. The smaller the pattern, and the fewer the colors, the easier to make. You can see all our patterns here. 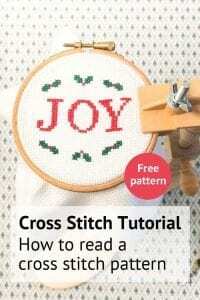 And we also share a few free patterns on our blog. 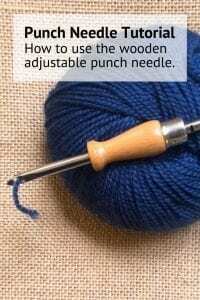 Protect your fingers and use a needle with a blunt end if you’re working on aida or evenweave fabric. Unless it’s Halloween, we like to avoid blood stains ;-). 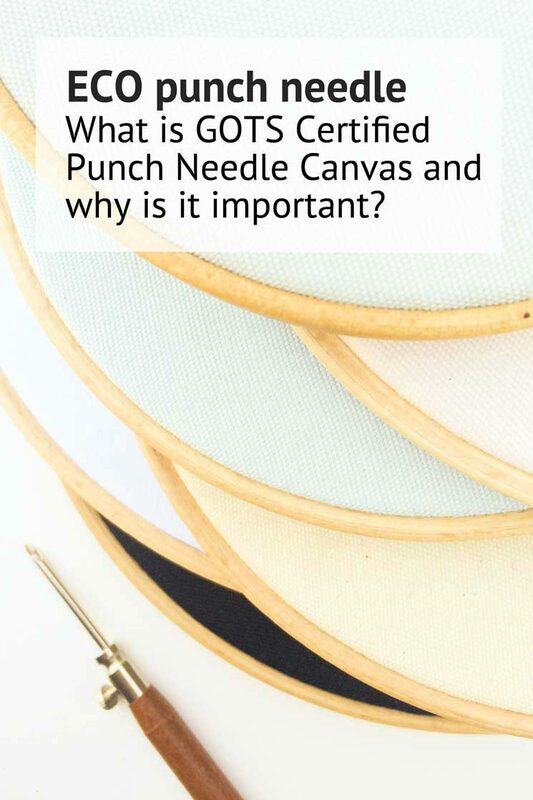 Our DIY kits always include one or more blunt ending embroidery needle that matches the count of your fabric. In the table you can see what needle sizes is best for which count fabric. 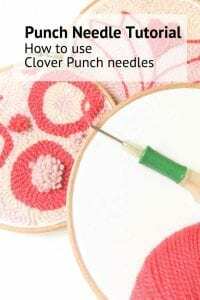 For cross stitch you typically use a tapestry needle with a blunt eye. 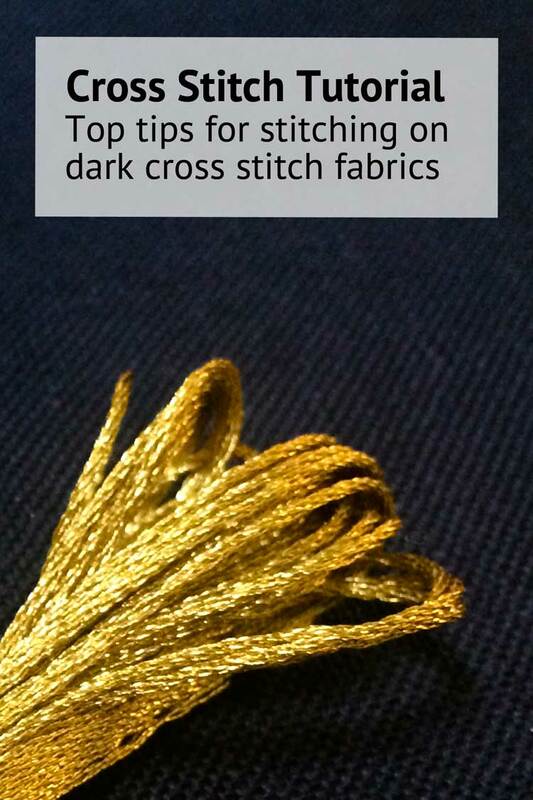 Only when you have to make a lot of fractional stitches on Aida, consider using a needle with a sharp end instead. 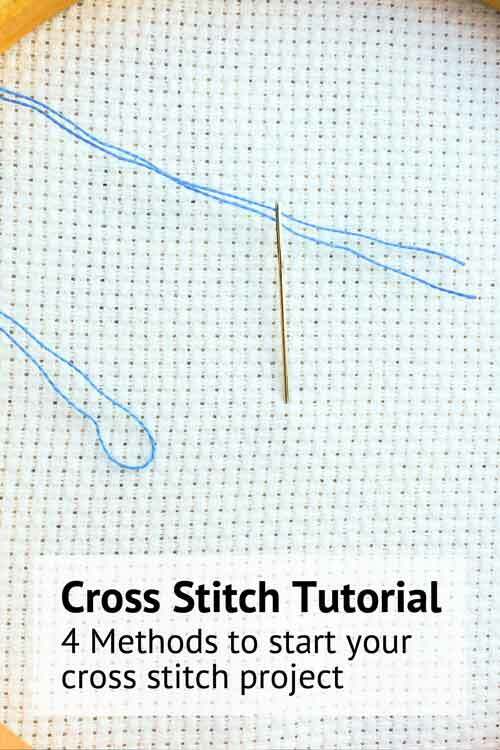 What size needle do I need for cross stitch? 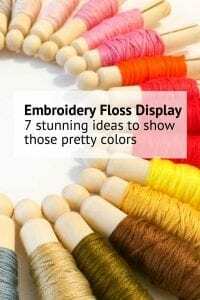 Embroidery floss comes in dazzling number of colors and qualities. 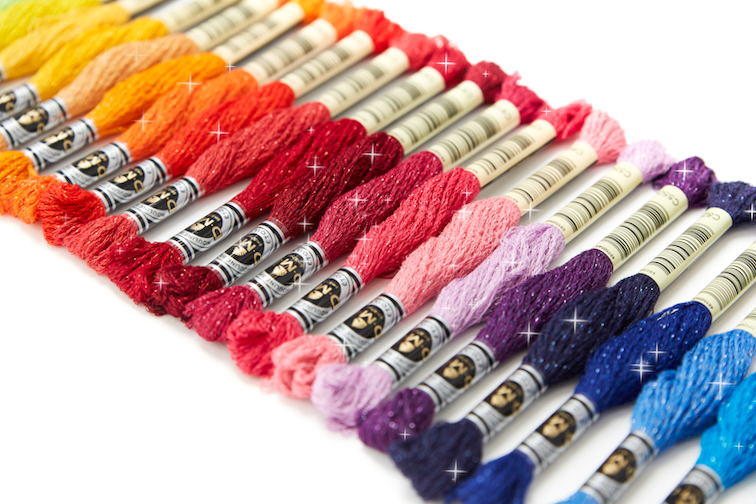 Spend your money wisely and buy high quality yarn that does not loose color when washed. 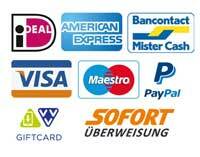 We sell DMC mouline, glow in the dark, etoile and metallic floss here in our shop. 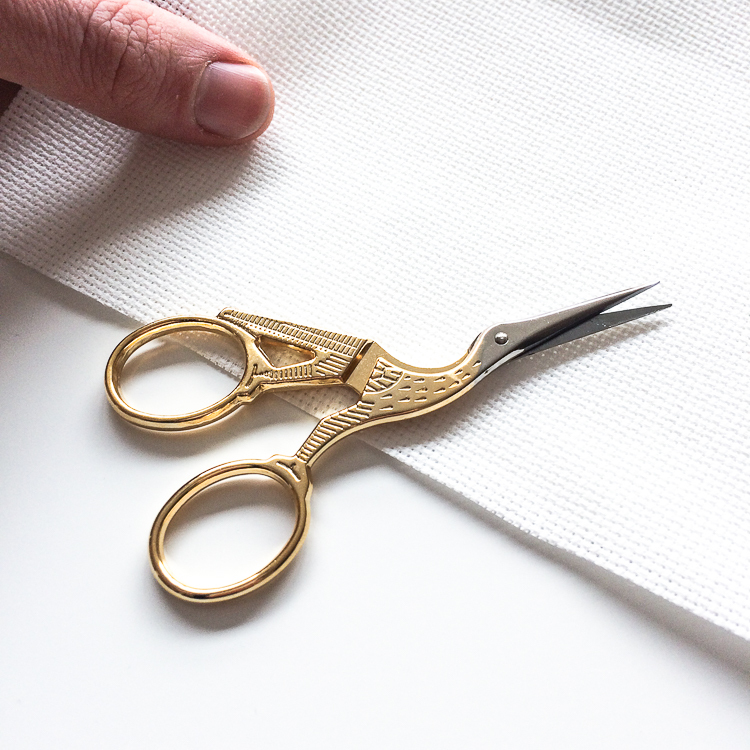 With sharp and short blades, embroidery scissors are ideal for cutting your floss without hurting your fabric. Becuase of the short blade you are often allowed to bring them with you on the plane. But if you want to be sure, you can also opt to travel with a nail cutter. You can find different types of scissors here in our shop. 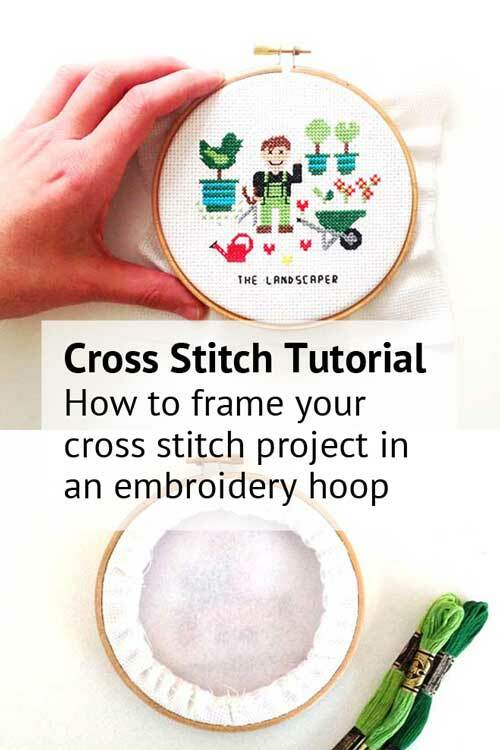 We love to use a hoop while cross stitching. 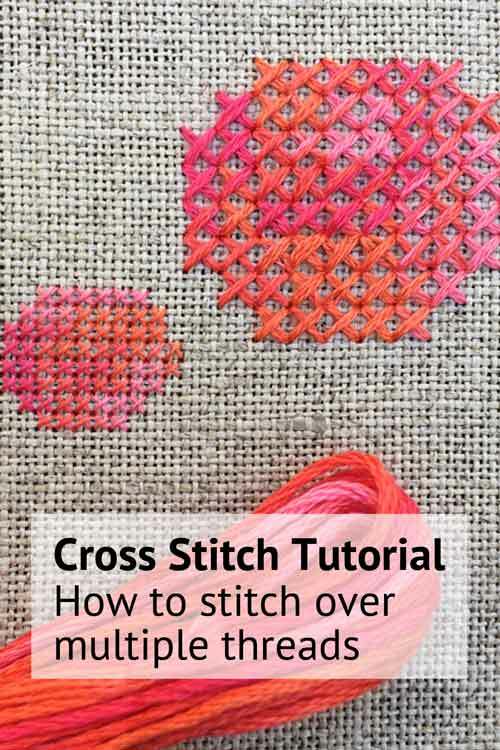 The hoop helps to keep the fabric streched and makes it easier to make perfect square stitches. After we finish stitching we frame our work directly in the hoop. That is also why we put a hoop in most of our DIY kits. 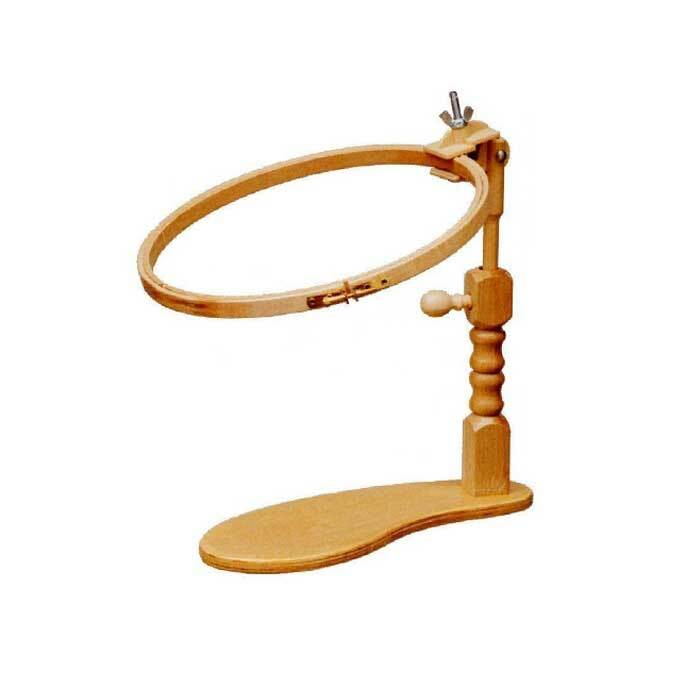 We recommend to use a hoop between 4-8 inch (10-20 cm) when stitching. 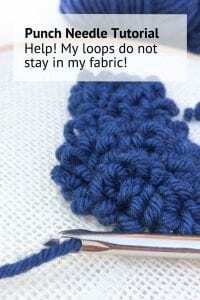 With a larger hoop it is more difficult to keep your fabric tight. 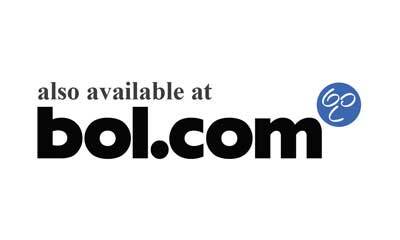 You can find different sizes of hoops here in our shop. Great for when you are using glow in the dark, etoile or mettalic embroidery floss. Stitch with two hands and clamp your hoop in a frame. A project bag to keep all your materials together. Make your life easy and use these handy tools to get embroidery floss easily into your needle. When framing our finished piece in an embroidery hoop, we use felt to hide the ugly stitches on the back. We explain in this tutorial how to frame your work in a hoop. 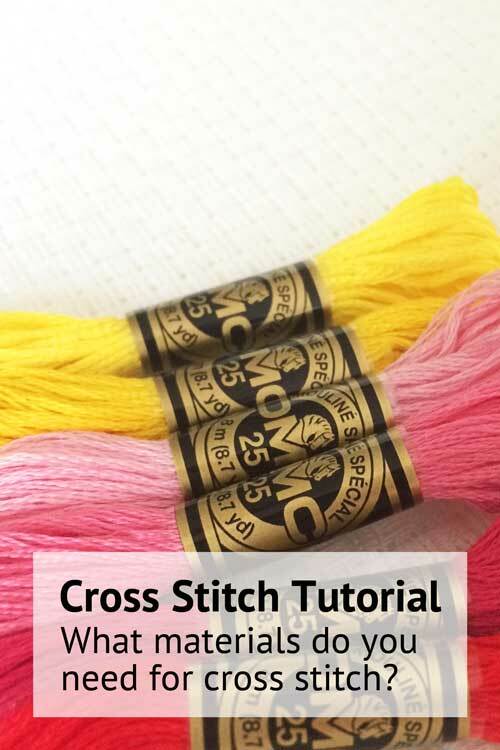 In our webshop you can find many modern cross stitch supplies. 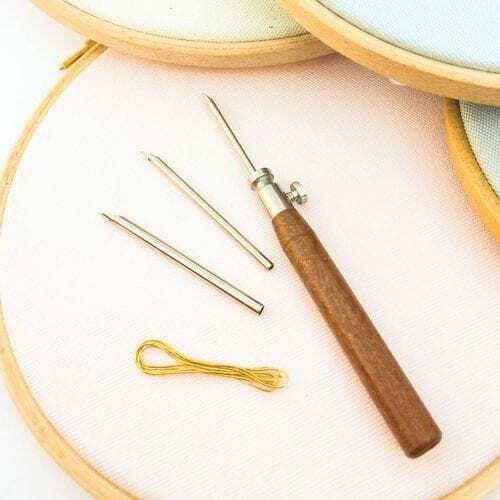 We use those supplies ourselves when stitching, and love to share our selection with you. Below you will find the latest cross stitch supplies in our shop.